Warning: New cases of ultrasonophobia identified! Ultrasonophobia is a newly recognised disorder of veterinarians. You may be affected and not even know! You use the machine but avoid touching any buttons in case you mess something up! You fear making a definite diagnosis—it’s really not so black and white! 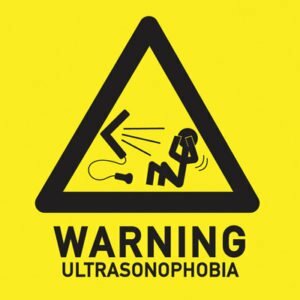 The underlying causes of ultrasonophobia have not yet been confirmed. We suspect that a deficit in ultrasound education may be a major contributing factor. Many veterinarians being unaware of the advantages and applications of ultrasound in modern practice. A lack of confidence in using their current machine. Users not knowing how to perform a systematic approach for the exam they are undertaking. Poor image acquisition—since most veterinarians, just “turn on and go” when they get a new machine, they will not be using the machine to its full potential, reducing confidence in making a diagnosis. Luckily, this condition can be easily treated. BCF Ultrasound now offers in-clinic training to all our clients, covering basic physics, image optimisation, knobology, and a systematic approach to the canine or equine abdomen. This is the first step to get you on your way to conquering ultrasonophobia. Prognosis is excellent for complete recovery if you follow our Journey to Ultrasound Enlightenment.